One busy intersection without lights or signs during the evening rush period. 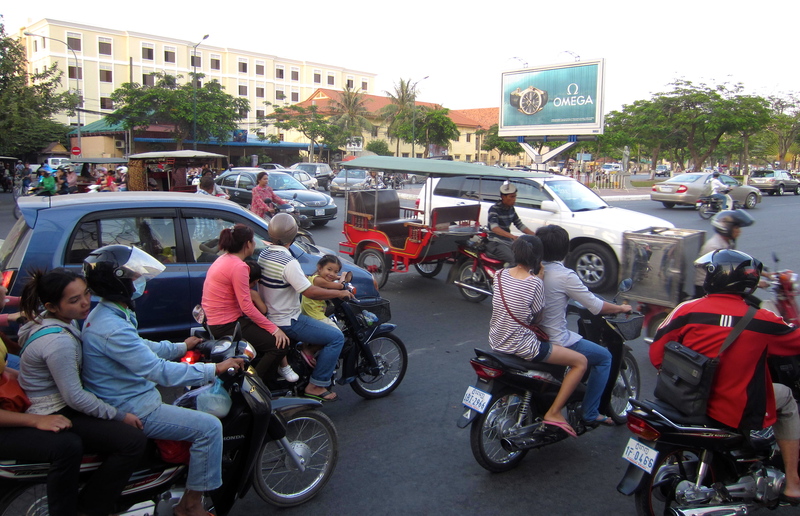 Chaotic doesn’t begin to describe the traffic in much of the developing world. One of my earliest memories of it takes place in Mumbai, which I visited in the late 80s. I was thoroughly intimidated by the convergence of cows, bicycles, motorcycles, cars and pedestrians on the thoroughfares and side streets. Crossing them seemed undoubtedly was perilous to the extreme. I since have witnessed similar congestion and danger, usually without the cows, in Asia and Africa.